The Demon Duke earned a Publishers Weekly STARRED Review! 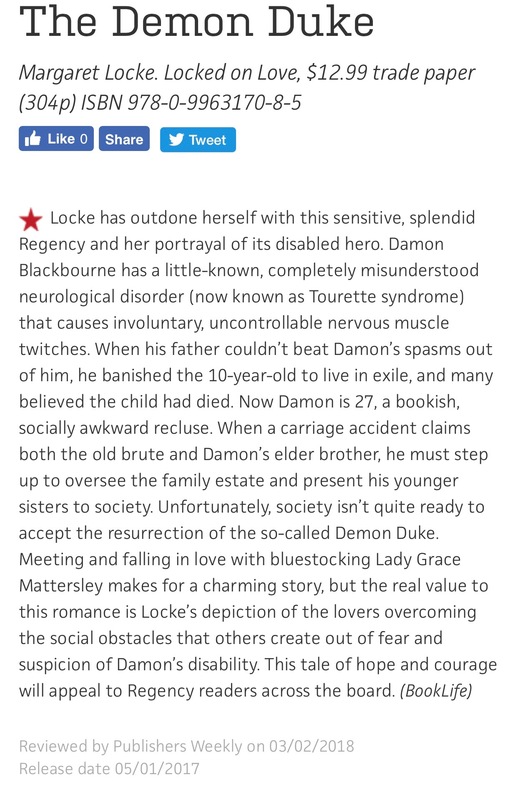 I am beside myself with joy that The Demon Duke garnered a starred review from Publisher’s Weekly! The wonderful reception of this book by readers means the world to me, for as anyone who’s read the Author’s Note knows, this book was for and, in a fictionalized way, about my son. To all who live with Tourette Syndrome, may you have whatever kind of Happy Ever After you so desire in life. You certainly deserve it. This entry was posted in The Demon Duke and tagged Publishers Weekly, Put Up Your Dukes, Starred Review, The Demon Duke, USA Today Bestseller by Margaret. Bookmark the permalink. Congratulations, Margaret! I actually just started re-reading one of your other books. I will have to download this one as well! Hi Jenn – Thank you SO much! I am flabbergasted and delighted and now hoping anyone who reads the book based on the PW review agrees with it! Which of my other books are you reading? Curious authors want to know! 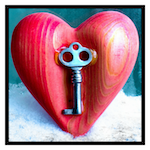 ← Previous Previous post: Historical Romance Giveaway – Enter by February 12th! Next → Next post: Come Join Allison K. Garcia’s Readers & Dreamers Facebook Party on March 24!